*Memorial Day on May 29. Report released May 30, 2017. Fort Lauderdale, FL – The price of gas ticked up nationwide to about $2.41 per gallon of regular unleaded, according to the weekly fuel price report from the U.S. Energy Information Administration. However, the price increase was less than a penny per gallon, a welcome break after a much higher increase the previous week. Nonetheless, some regional price averages advanced at a much greater pace than the national average, according to the E.I.A. The broad West Coast region, for instance, saw prices lurch forward nearly three cents per gallon, with that region’s price average flirting with a $3.00 per gallon price point. The region is heavily influenced by prices in California, where drivers have been paying in excess of $3.00 for most of May, according to the weekly report. The E.I.A. report had bad news for truckers and diesel-car owners, as the average price of diesel surged over three cents on the week. The national average now stands at $2.57 per gallon. Regional cost averages for both gasoline and diesel are listed below, ranked from highest to lowest price. A dispatcher with the Florida Highway Patrol confirmed this evening there are no plans to close Alligator Alley tonight. 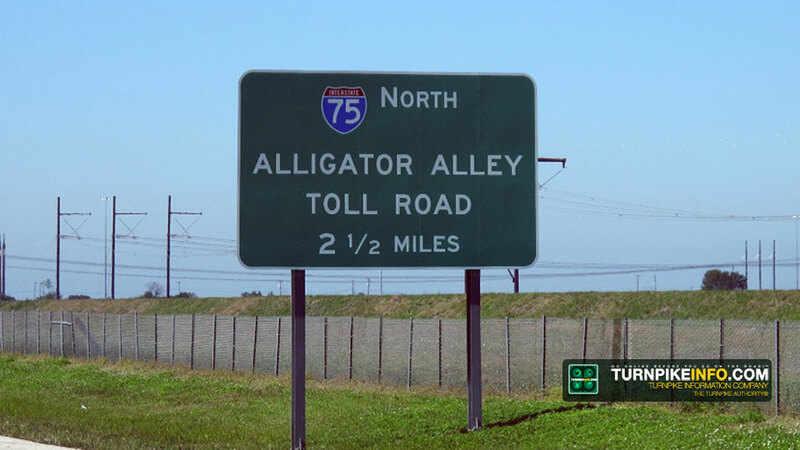 Alligator Alley comprises a section of Interstate 75 in Florida, connecting the east coast and west coast at the south end of the peninsula. The trooper told TurnpikeInfo.com that winds had shifted direction, making for more favorable driving conditions. Smoke from nearby wildfires, in the Everglades, forced the FHP to close Alligator Alley Monday night around 6 p.m. The roadway was open again this morning. Severe wildfires have forced the closure of Alligator Alley in the past, including a spate of closures in the spring of 2009 that impacted drivers for about a week. Fort Lauderdale, FL – Just as throngs of American drivers prepare to hit the road for Memorial Day, gas prices performed a dramatic about-face and rose three cents per gallon on the week, according to the latest weekly price survey from the U.S. Energy Information Administration. The nation’s average gas price is now $2.40 per gallon, lead by sharp increases in prices in California, and across the Midwest and New England. The price of diesel dropped, although only slightly, according to the E.I.A. report. The nation’s average diesel driver paid about a half-penny less for fuel this week, although the drop was not enough to move the needle on the average pricing. That figure remains $2.54 per gallon for a consecutive week. Fort Lauderdale, FL – The nation’s average price for a gallon of regular unleaded gas barely budged this week, according to the U.S. Energy Information Administration. Most regional price averages declined on the week, according to the weekly E.I.A. district survey, but there was a penny per gallon increase across California, and a stiff increase of nearly four cents per gallon in the volatile Midwest region. That kept the national average price decline in check, at a mere third of a penny per gallon. As a consequence, the nation’s average gas price held this week at $2.37 per gallon. The price of diesel dropped over two cents per gallon, however, according to the E.I.A. report. That price decline was fairly evenly met across most regions, although California enjoyed a bigger price dip. Nationally, the E.I.A. reports the cost of diesel is now $2.54 per gallon. 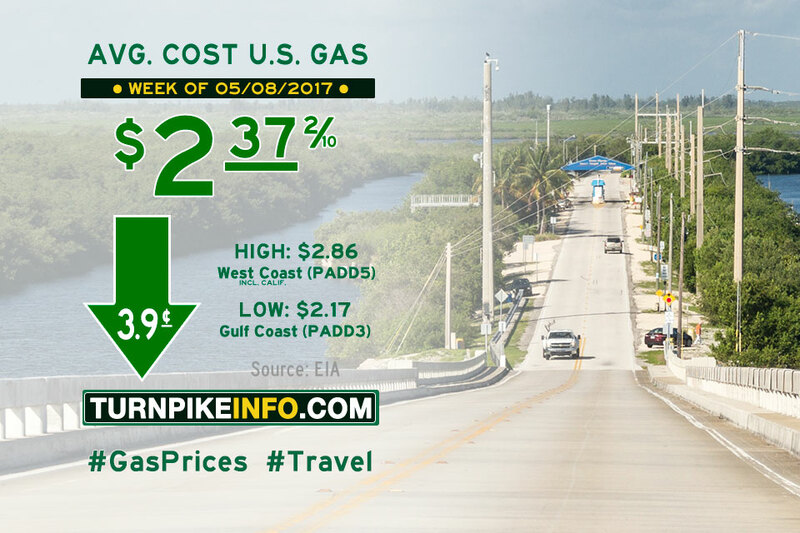 Fort Lauderdale, FL – The price of gas gave ground again this week for drivers, pushing downward in a second weekly decline that neared four cents per gallon, according to the weekly fuel price survey from the U.S. Energy Information Administration. The E.I.A. report shows the average price of a gallon of regular unleaded is now $2.37. The needle did not move so much for most truckers, according to the E.I.A. survey, although diesel prices did tick down on the week. Nationwide, the cost of diesel now averages about $2.57, after dipping about a penny and a half in price, on average, during the past seven days. Fort Lauderdale, FL – Gas prices started the month of May with a price drop, the first in several weeks, according to the U.S. Energy Information Administration. The average price of a gallon of regular unleaded fell nearly four cents, according to the E.I.A., to start May at $2.41. That relief impacted drivers in all regions this week, as reported in the weekly E.I.A. price survey, with the Midwest and Lower Atlantic states enjoying the larges price breaks. The price of diesel did not move so dramatically for most truckers, according to the E.I.A. survey. The cost of diesel was mixed, with most regions enjoying a slight decline in prices. Nationwide, the cost of diesel now averages about $2.58, which is down just over a penny from last week.